The AHP Spirit Award is presented to the member who has done the most consistently to assist and support the association. The individual is selected by the Board of Directors. In 2004, the inaugural award was presented (as a surprise) to Chris Brune and the title changed to the AHP Chris Brune Spirit Award. Previous award winners include Lua Oas Southard, Barrie Reightler, Ellen Kiser, and Daniel Lew. This year's winner became involved with AHP as a Student Member over 10 years ago. After college, it wasn't long before she found a place in the equine publishing industry. "Christy was a big asset to our operation when she was a member of American Farriers Journal staff and produced excellent work for us," states Frank Lessiter, AFJ Editor/Publisher. "Thanks to her, we got our start in the electronic age." Kim Brown, Publisher/Editor of The Horse, recalled that Christy had applied for an internship with The Horse. "But we only offer unpaid internships and she wanted one that would help pay the bills. However, I thought enough of her that I kept her contact information around … just in case." The "case" came the following year when Kim was able to expand her staff. "I dug up her resume, convinced her parents I wasn't selling Amway, and got her number. We chatted, decided the job and talents matched, and I hired her," said Kim. 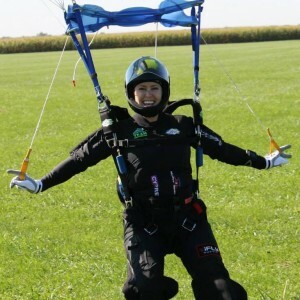 Those of you who know Christy may not know that she is an avid skydiver, hence the name Sky Girl. Kim remembered, "After I hired Christy I was talking to Stacy Bearse, CEO of Blood-Horse Publications, about my new person. 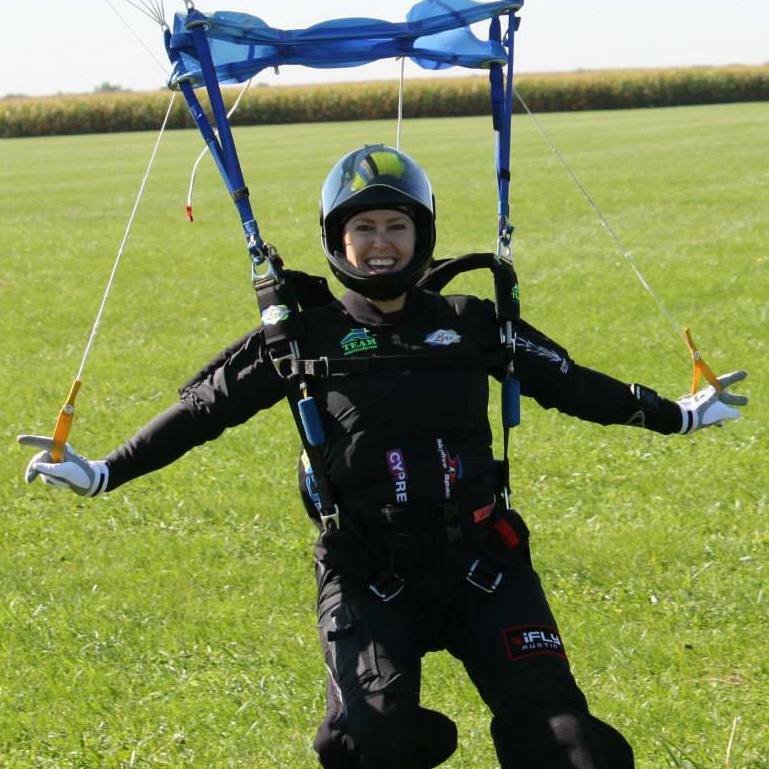 I was excited and telling him all about her, including that at that point she had made more than 1,200 skydive jumps and participated on a national team." His response was: "Are you sure you want to hire that kind of risk-taker?" "No," Kim replied, "I want to hire a person who has made that many jumps and packs her own parachute! Now that's the kind of attention to detail any employer should seek." Christy stayed with The Horse and helped them develop TheHorse.com into an award-winning Web site even after she fell in love and moved away. Christy remains Webmaster for Horse.com. "We rely on her to keep us going in the right direction," says Kim. The Horse is not the only one to claim bragging rights for Christy's expertise as a Webmaster. In August, 2005, she accepted the role as Webmaster for the AHP website and she has redesigned the site as well as added the bells and whistles to create a user-friendly site for members and visitors. "Of course, I have personally reaped the benefit of learning from the Master," says Chris Brune, AHP Executive Director. "Christy and I have spent many hours testing this and trying that until the site runs like a well-oiled machine." In recent years, Christy has created Excel files to help Chris with processing the hundreds of awards contest entries. She also produces the annual PowerPoint presentation for the Awards Banquet. "I can't begin to count the ways Christy has helped AHP," says Chris. "She is another example of the talented individuals that our association has attracted through our student programs." Another person who feels the same way is Frank Lessiter. "Over the years, we've served as a valuable training ground for many editors and I've always been proud of the folks who we helped get started in the magazine field. Christy is certainly one of them." Erin Ryder of The Horse sums up Christy with one word -- quality. "What's so exceptional about Christy is her absolute commitment to excellence in every project she touches," she explains. "Whether it's writing a freelance article or designing a Web banner or analyzing Web site statistics, if Christy's involved, you can know with an absolute certainty that the project is going to be done in a correct, comprehensive way." "Something I've noticed is that when Christy works with a source--whether a horse owner or a researcher--they remember her, even years later," continues Erin. "And they always want to say hi. I think that's a mark of an excellent individual in publishing--someone who does a thorough (some might say exhaustive!) job, but yet is beloved equally by readers, coworkers, and sources." And Christy West is definitely beloved by her fellow AHP members. 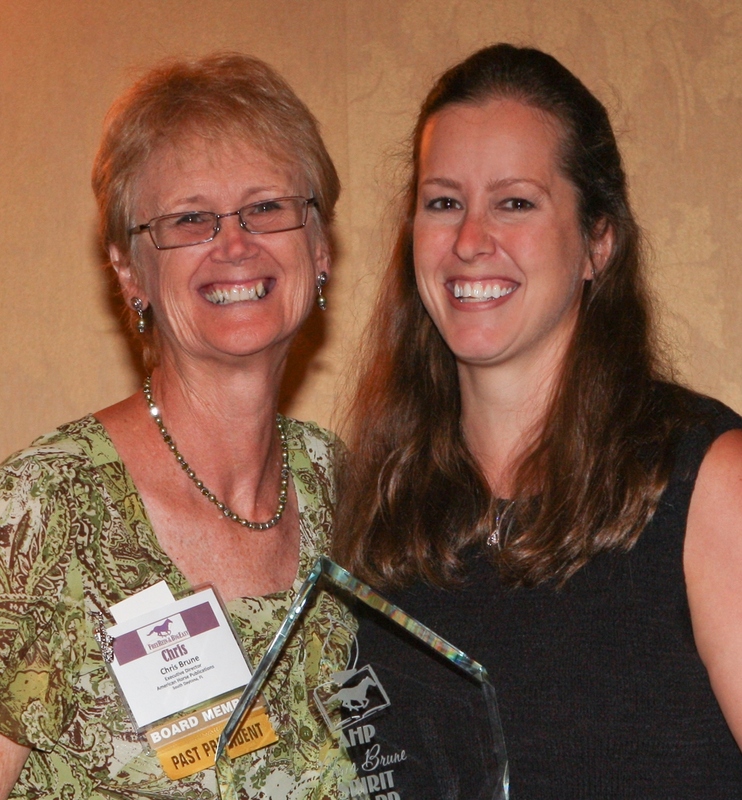 Christy and all of those who have earned this special award represent the level of dedication and good will that thrives in American Horse Publications.